In a blow to Republican hopes of regaining control of the Senate, Virginia Sen. John Warner announced today that he will retire after this term, reports The Washington Post. Warner, 80, has been a leading critic of President Bush's handling of the Iraqi war. His decision means the seat becomes a bigger target for Democrats, and Republicans could face a difficult primary. In other Republican senatorial news, The New York Times reports that beleaguered Larry Craig of Idaho could resign as early as today. As we noted this morning, today's WaPo details efforts by Clayton Yeutter and Joseph Levitt, two lobbyists from Hogan & Hartson, to soften a government campaign to encourage breast feeding of infants. The article indicates the effort was orchestrated by baby formula makers and their parent companies, but doesn't identify any by name. The Legal Times lobbying database shows that in July of 2004 Yeutter registered on behalf of Mead Johnson, an Indiana company that sells the Enfamil brand of baby formula. Levitt, who directed the FDA's Center for Food Safety, which regulates baby formulas, registered to lobby on behalf of ConAgra Foods in May of this year. Where's the Bomb and What's Your Address? The FBI issued an advisory yesterday titled "Protecting Your Business Against Extortion Bomb Threats" after several U.S. companies received phone calls threatening to blow up their buildings if a mountain of cash wasn't wired to an overseas bank account. Maybe this is the replacement scam for those Nigerian bank account schemes that nearly everyone got wise to. So you're probably wondering what you should do if you happen to get that call from the would-be bomber. Fortunately, the FBI has provided a checklist. Besides asking about the type of bomb and where it is located, you should ask the potential bomber for his name, address, and phone number. Seriously, those are some of the questions on the list. The FBI did leave one important question off the checklist: If the bomb is about to explode, do I cut the red wire or the blue wire? White House press secretary Tony Snow, known for his sharp wit in the press room, will step down on Friday, Sept. 14. His deputy, Dana Perino, will replace him, President Bush announced today. Read the Washington Post story here and the New York Times story here. Snow, 52, had said he planned to step down before the end of the Bush presidency because he could earn more elsewhere. The White House spokesman had also suffered a recurrence of colon cancer last spring, and is still undergoing treatment, though the WaPo reports that his condition has stabilized. Federal Reserve Chairman Ben Bernanke says the Fed is closely monitoring the economy and will "act as needed to limit the adverse effects on the broader economy that may arise from the disruptions in financial markets." But speaking today, Bernanke gave no sign that a rate cut is imminent, reports The New York Times, and said it's not the Fed's job to protect investors from the consequences of their decisions. Jeffrey Taylor, the U.S. attorney for D.C., isn’t the only federal prosecutor lamenting the lack of funding and personnel in his office. Although Taylor’s proposal to have attorneys from private firms prosecute cases on a pro bono basis is a novel approach to the problem, the proposal stems from a budget crunch that is affecting prosecutors around the country. According to today’s Wall Street Journal, U.S. Attorneys’ Offices are struggling with a major funding shortage. Vacancies haven’t been filled, investigations are stalled, and money for basic office needs like photocopying has been slashed. The budget for the offices isn’t even keeping up with inflation, and Congress denied cost-of-living increases to Justice Department employees. The result of all this belt tightening has been a downturn in prosecutions, especially in drug, violent crime, and white-collar cases. So where is all the money going? The Journal reports that a shift in spending to terrorism investigations, the Iraq War, and a White House loath to fund domestic programs has caused the bulk of the budget squeeze. The Larry Craig story isn't going away. It's driven The Idaho Statesman's web page to record traffic numbers. More and more Republicans are calling on the also-Republican senator to resign. Slate remains on vacation and, so far, hasn't commented further. But we here at Legal Times are still pondering Craig's unthinkable behavior. No, not that whole restroom thing. We mean his decision to face criminal charges without a lawyer. What longtime senator doesn't have a lawyer on speed dial? We've never even heard of a member of Congress who didn't have a lawyer before. Anyone know if it's a violation of the Constitution? A federal jury acquitted D.C. detectives Milagros Morales and Erick Brown last night of charges that they pressed witnesses in a murder investigation to lie to a prosecutor so that she would sign off on an arrest warrant for the wrong man, the WaPo reports today. After a day of deliberation, the jury discarded the government’s claims that the detectives had asked witnesses to tailor their original statements about the 2005 stabbing death of Terrance Brown at a Washington, D.C., nightclub. (Read more about the case here.) The detectives have been on administrative leave since their indictment last year. The two-week trial was extraordinary for its window into the justice system: Rarely are the disagreements between police and prosecutors so vividly – and publicly – expressed. (Check out our story on it from last week.) The cast of witnesses and lawyers included a sitting D.C. Superior Court judge and former assistant U.S. Attorney (Jennifer Anderson), a former homicide chief in the U.S. Attorney’s Office (David Schertler), and a special prosecutor from Virginia (William Gould). Schertler represented Morales, and Steptoe & Johnson partner Reid Weingarten, a former trial attorney in the Justice Department's Public Integrity Section, represented Brown. Hear ye, hear ye: Today is "Love Litigating Lawyers Day." So here's to motions practice, discovery disputes, summary judgment (or not), looming trials, potential settlements, and if things go badly, perhaps another chance on appeal. And let's not forget those litigators on the crim side -- prosecutors and public defenders, I think you'd be included, too. Investigation Nation: The Times reports this morning that the Justice Department’s internal investigator is examining whether Gonzales’ congressional testimony was false or misleading. Members of both parties have been suspicious of his nothing-but-the-truth testimony, including his statements on NSA wiretapping and the U.S. attorney firings. Subprime Plans: President Bush is proposing plans to alleviate the subprime mortgage crisis by helping families who face rising interest rates keep their homes. One method he proposes would be changing the Federal Housing Administration’s federal mortgage insurance program. A Winning Formula: Lobbyists and breast-feeding. What a combination. 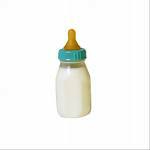 This morning’s Post details how lobbyists for the infant formula industry pushed hard for the Department of Health and Human Services to tone down a breast-feeding campaign. In an effort to encourage more American mothers to breast-feed their babies, HHS developed a blunt ads that detailed the health risks associated with not breast-feeding. The lobbying worked. The toned-down ad campaign, not so much. Settled Suit: Microsoft has settled an eight-year patent dispute over a feature in Internet Explorer that allows for embedded links. The dispute was with the University of California, which owns the patent. In 2003, a jury in Chicago agreed with the plaintiff and dispensed a $521 million verdict against Microsoft, which was then appealed.